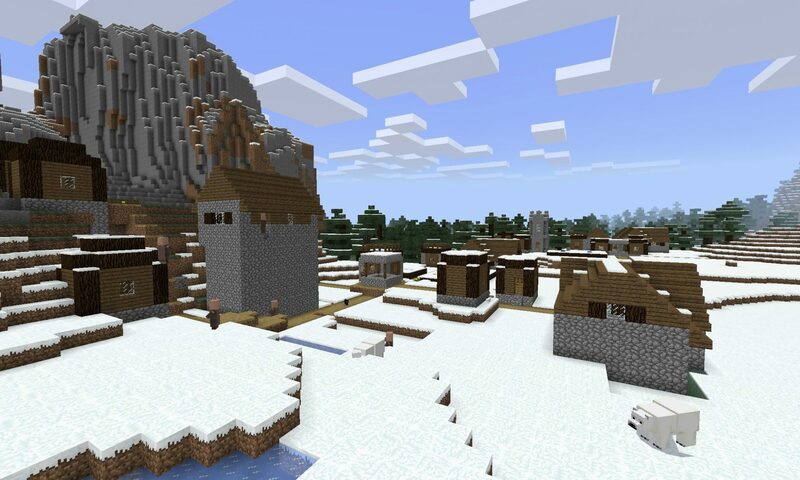 In this Minecraft PE Seed (Bedrock Edition Seed) the spawn point is just seconds away from a snow village on an ice plains biome. To get started enter the seed LUNANA (or the sed number -2038263889). 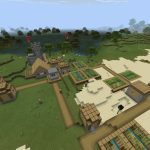 When you spawn you will be on a plains biome. Straight ahead you can see snow on the ground. 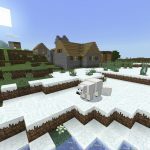 That snow is the beginning of an ice plains biome. Head in that direction and in less than a minute you’ll see another snowy village. 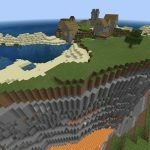 Watch out for the ravines that dot the world at the spawn point! 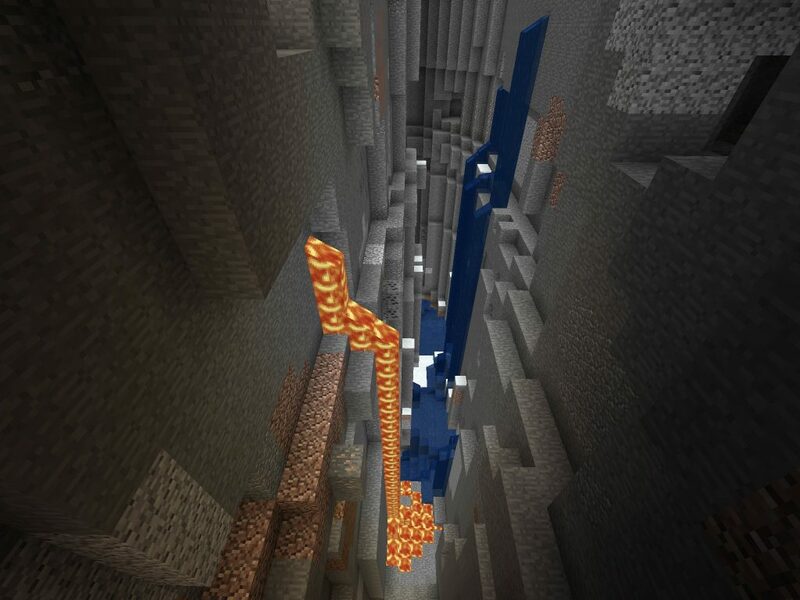 One of the ravines in the snowy biome. Snow made it deep inside this ravine.